Your skin will be smoother and brighter than ever! 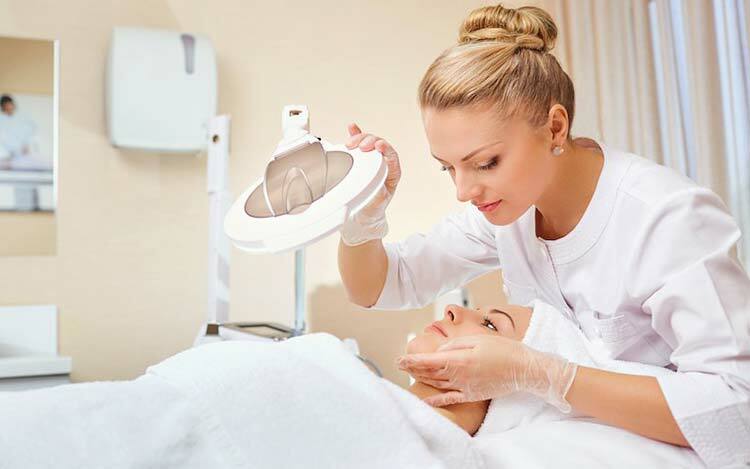 Dermaplaning is an effective exfoliating treatment in which an aesthetician uses a surgical scalpel to gently scrape off dead skin cells on your face (along with any pesky peach fuzz). You may wonder 'Why is this necessary?' Because, due to the buildup of dead skin and microscopic hairs, your complexion may appear dull and flaky, and breakouts may occur more often due to clogged pores. This form of mechanical exfoliation is essential for maintaining an even, healthy glow. 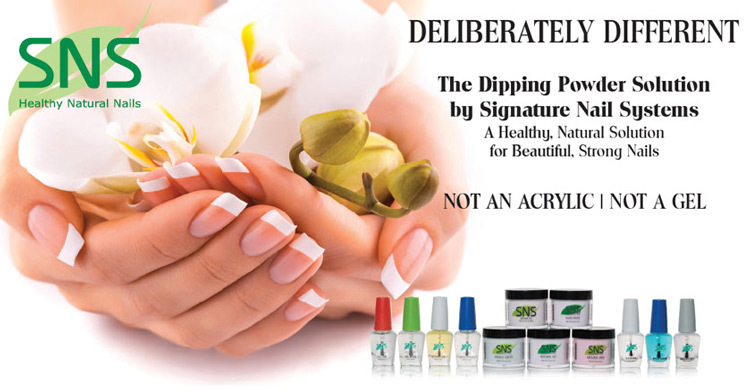 The latest trend in nail care -- with beautiful results! The SNS Gelous Color dipping powders not only protect your nails, they also create the most stunning and long-lasting look available. Colors can be applied to both real or fake nails, and will last more than 14 days. There is no need for UV light or E.A. bond, and you will appreciate zero drying time. With gorgeous colors to choose from, each provides a perfect mirror finish. What is Olaplex, and why is it revolutionary? 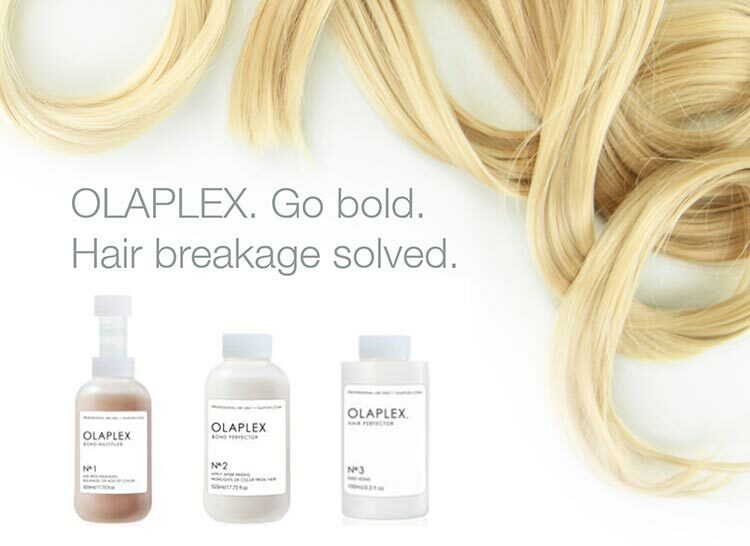 You will LOVE Olaplex - add it to your next color service! From base color to Balayage, Olaplex multiplies bonds making hair stronger, healthier, while color lasts longer with more vibrancy. What does this really mean? You can go further with any color you want. Go blonder, or go from red to blond in one color session versus three. Push the envelope without the fear of damaged hair. A pair of respected scientists invented a single ingredient chemistry, free of silicone or oils, that links broken bonds in the hair during and after chemical services making them stronger than they were before. It may all sound like the same old mumbo jumbo, but check out what top colorists are saying about Olaplex all over social media (eg. Instagram, Facebook and Twitter). As they say, the proof is in the pudding. No. 3 Hair Perfector - Why Use at Home? Due to bonds being continuously broken within the hair through thermal styling, mechanical styling or continued color / perm / relaxer services, the integrity, strength, shine and softness will dissipate in a few weeks to a month dependent on how your hair is treated. The No. 3 Hair Perfector will maintain strength, structure, integrity, softness and shine leading up to your next salon service. Prior to shampooing, apply a generous amount to wet towel-dried hair and leave on for a minimum of 10 minutes / once a week. Then rinse, shampoo and condition as you would normally. Please note - this is NOT a conditioning treatment to be left on the hair. It should be shampooed out. The longer it is left on, the more effective it is. The product can be used more than once a week, if necessary. Do Anti-Acne Facials Really Help? Why get an acne/deep cleansing facial? Anti-acne facials are recommended for teenagers, women and men with oily or acneic skin, or uneven complexions. For ideal results, a series of cleansing facials and a daily skin-care regimen is recommended. These treatments will also assist in preventing future breakouts. Second visit / two weeks later: She will review how well your skin is healing and if more visits are necessary. 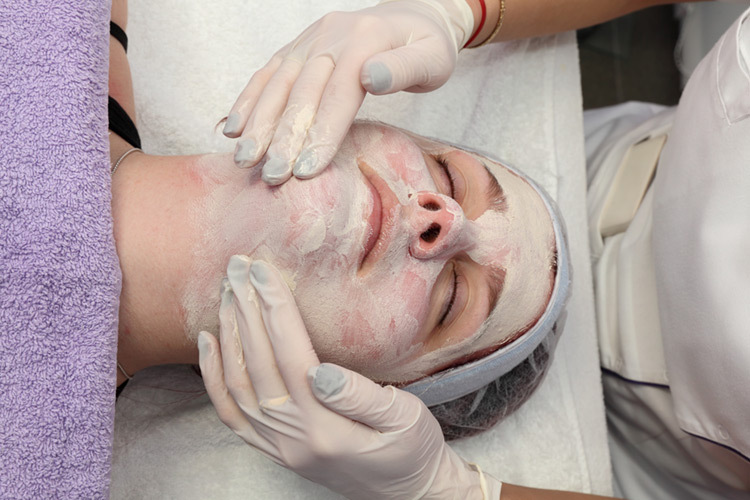 Extractions may be required to ensure clear skin between facials. The extraction service typically takes 10-15 minutes. Third visit / 3-4 weeks later: The third visit is only if required, and would be one hour or less in length. By this time, many clients see substantial results. If your acne is not entirely gone, we’re confident your skin’s condition will be significantly better and you’ll notice a healthy glow. Anti-Acne Products for At-Home Use: Our Orgami skin care line has proven to be effective and will give you noticeably healthier skin in only a few weeks. The Orgami line is all-organic and includes individual products for different skin types. To schedule your anti-acne facial, call 920-722-2341 and review our Orgami skin care collection. Please note – If for any reason, a breakout is too severe, we will recommend visiting a local dermatologist.